Very visual and fast effects using simple and practicable methods in real situations. 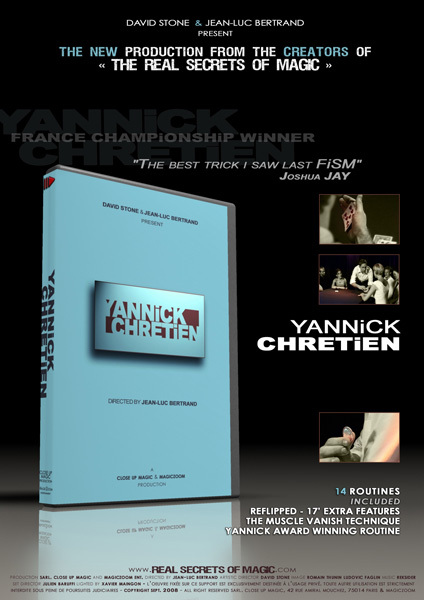 Yannick Chrétien presents you 14 of its routines among which? Vanish muscle? Explained for very time in this DVD. 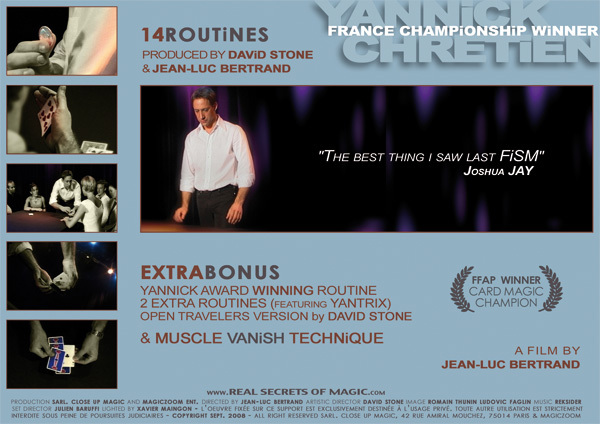 In Bonus, the complete demonstration of the routine with he took away the 1st price during the championship of France. 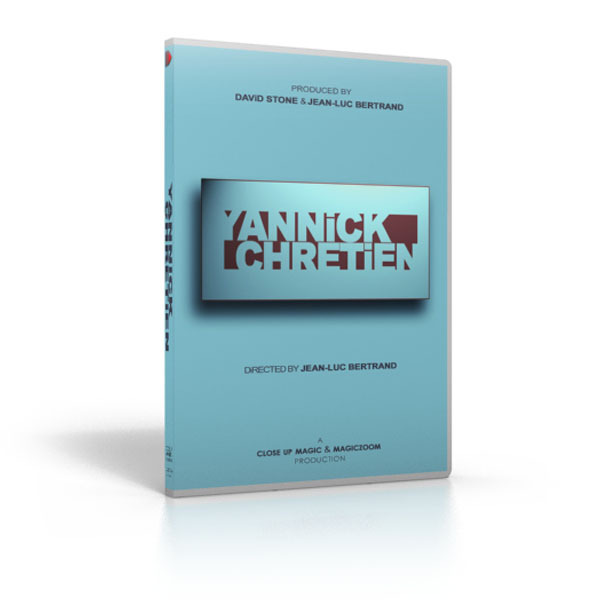 BONUS: The complete demo of the routine of competition(help,competitions) with which Yannick Chretien took away(gained) the 1st price(prize) during the French championship! The demo of a matrix in the purely stunning climax. The explanation of an additional routine using the famous disappearance of coin.